Find real world warehouses in Log-hub Marketplace. 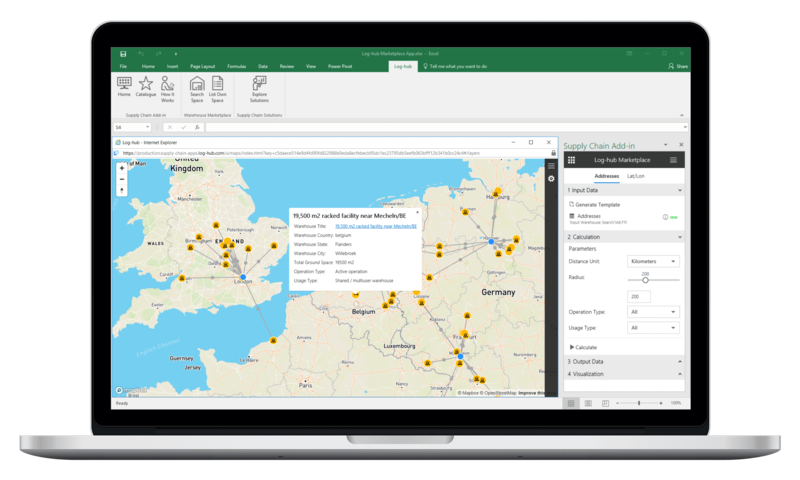 Search for real world warehouses in Log-hub Marketplace and download warehouse details to your Excel sheet. Use this information for further analysis and network optimization. Access to all warehouses from Log-hub Marketplace including important warehouse details. Use real warehouse locations for your Network Design study to make the results more realistic. Find exactly the warehouses you need. Easily configure the relevant search criterias. 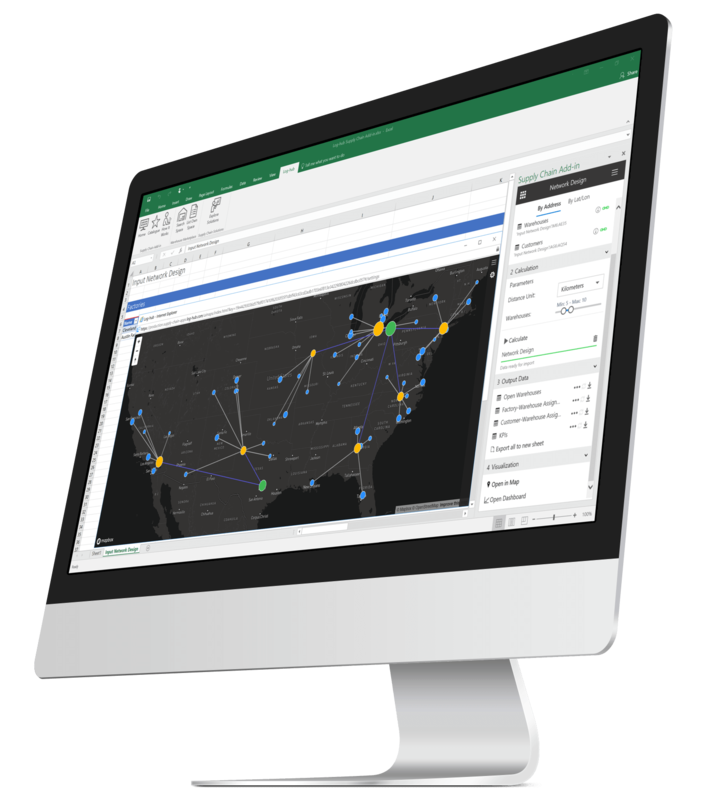 Combine strategic and tactical Network Design optimization with real world warehouse data. Create scenarios that are ready for implementation. Learn how to use real warehouse data in strategic Supply Chain Optimization. Use Log-hub Marketplace app to search for warehouses in your areas of interest. Plan and optimize your network design based on these real warehouses. After finishing the planning process, you can directly get in contact and book the warehouses via our platform.